Mobile devices have not only become incredibly popular, but they have also changed the way we interact with others as well. Mobile commerce has taken off in a big way because people can buy whatever they want from wherever they are, without the hassle of having to go to physical stores. Entrepreneurs have also understood the importance of mobile devices to grow their businesses. 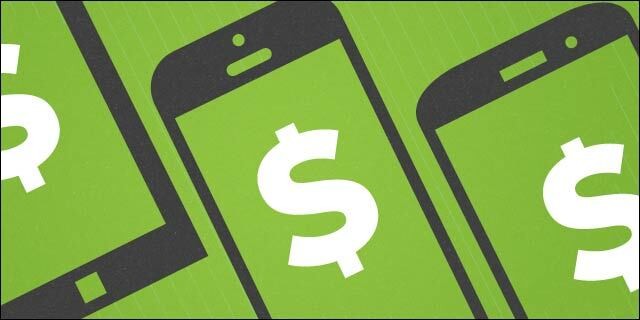 Here are some mobile commerce trends that are going to be prevalent in 2014. For businesses to be successful with mobile commerce in 2014, their websites have to be optimized for mobile devices. The importance of SEO in the mobile sphere cannot be underestimated, and businesses have to pay attention to the problem of duplication in search results. Mobile design is becoming increasingly popular as mobile commerce has taken off and users have come to expect that. Poor web design, text that is illegible, and tiny buttons that just can’t be pressed cannot be seen on mobile websites. In fact, there is no place for such faux pas in 2014. Sellers can offer discount codes and coupons to potential buyers through text messages so that it encourages them to shop. These coupon codes can be redeemed by buyers while they are shopping on the ecommerce website or through in-person shopping. There are many businesses and stores that have invested in creating mobile apps that have become a smart gateway for people to buy what they want. They are being used widely, and creating apps for smartphones will be the way to go for many businesses. This option is extremely convenient for shoppers, who can also benefit from add-ons like home delivery, which saves them a lot of hassle as well. Mobile payments started getting increasingly common in the last year, and the trend is going to continue further and get even bigger in 2014. Mobile payment systems also seem to be an attractive proposition for retailers who are drawn to them. Several venture capital firms are investing in payment startups, which will ensure that things grow further. Retailers have been afraid of “showrooming” and worried about loss of control among connected users. But now they will try to engage with them directly via mobile devices. Mobile shoppers are often considered to be the most loyal customer group, which is why they can get preferential treatment. Now, connected users will not get the same generalized offers through various means like email and SMS, but will have specialized offers based on their preferences to look forward to. We’re likely to see time- and location-based offers through mobile alerts because it’s such an effective channel. Mobile commerce is bound to grow; in fact, eMarketer says that mobile commerce will grow by about 30% over the next few years. However, the same can’t be said about mobile ewallets like PayPal and Google Wallet, especially since the latter received less-than-favorable reviews. The good old credit card will remain active and, along with electronic credit card devices, you will have various options merging into one. Today, mobile is a lot more than your phone or tablet; it can be your eyeglasses, car, watch, bracelet, and the clothes you wear as well. These devices, or wearables as they are being called, will be all over the place in 2014. But even they are a small part of all the devices that are coming online and becoming an integral part of the mainstream. The universe of connected devices, or the “Internet of Things,” will have an overwhelming impact on today’s connected devices like PCs and smartphones. Times are highly competitive today, and if business owners want to stay at the top of their game, then they have to ensure that they are connected with their potential customers. That’s why mobile commerce is the right way forward for businesses, big and small, today. These are some of the trends that business owners can pay attention to in 2014 to get optimum benefits from mobile commerce. I’m Ramya, a freelance web designer/writer based in India. I have an experience of about 8 years in content writing and have worked for top blogs and websites. I'm generally an extrovert; I like photography, anthropology and traveling to different countries to learn the culture and living of the local inhabitants to do travelogues.